St. Mary’s, Orchardleigh enjoys the unique setting of being at the edge of a lake with a moat around the church. Hence it is often referred to as ‘the church on the island.’ Its remoteness means there is no electricity supply to the church which means all our services are candlelit and the organ has to be pumped by hand! 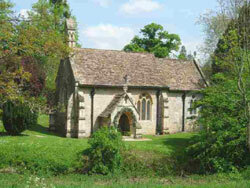 You can find additional information about Lullington and Orchardleigh churches and their Services on their own website lullandorch.org.uk. (Opens in a new window). There is a strong link between Lullington Church and Orchardleigh House for wedding receptions. You can see the map and the area covered by this Parish here.